Make 2X GTA$ and RP on all Rockstar Stunt Races and Transform Races, as well as on this week’s Time Trial, “Up Chiliad”. Also, earn 50% more GTA$ on Import/Export Sell missions. 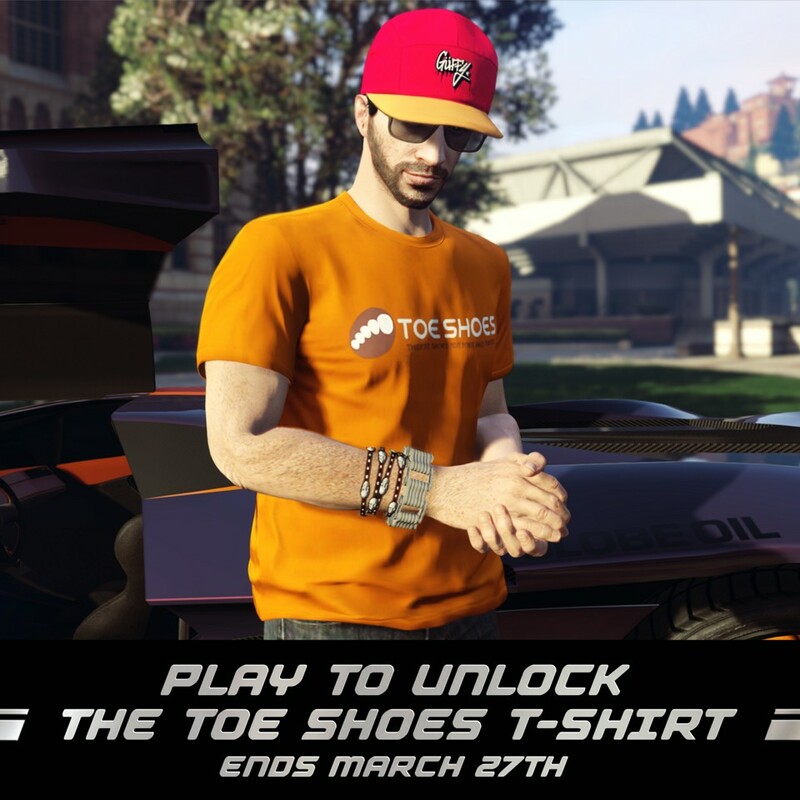 Play anytime this week to get the Toe Shoes T-Shirt. Executive Office Auto Shops — 50% off.